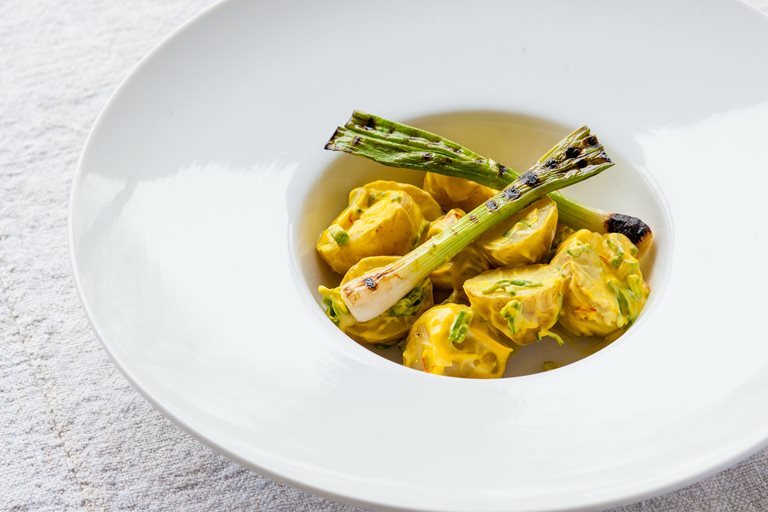 This elegant potato recipe by Dominic Chapman uses the much prized Jersey Royal potato to complement a garlicky aioli and charred spring onion. To vary the flavour of the mayo, add a little mustard. If you like your mayonnaise runnier, add a couple of tablespoons of hot water.